It's official!!! 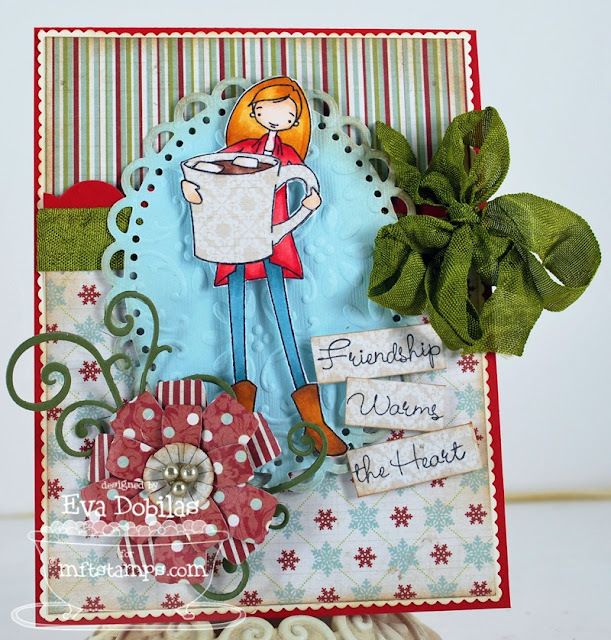 The My Favorite Things December stamps and Die-namics have been released, so you can shop now! And to help you with your shopping, our designers have planned to show you all our new goodies in a Product Tour. Make sure you check out all the designer's blogs as each of us are showing something different from this release, so it's just another peek at everything. And to help you with your list, we even have a checklist, which you can download from Kim's blog. How fun is that!!! The stamp set I am highlighting today is a'la modes Hot Cocoa Cutie. I have said this in the past, but I can't say it enough, I always have such a fun time creating with our a'la modes line. Here is what I made with our newest cutie. 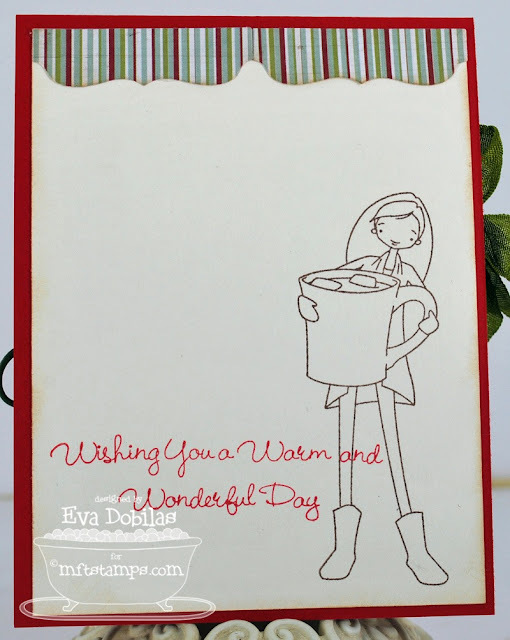 For this card I chose to work with Lilybee papers, which I thought was fitting the theme. And of course I used our newest flower Die-namics, the gorgeous Fringed Perennial. For the inside of my card I used the Mini Tabs Foursome to create sort of an awning look. I just thought it looked kind of cool and a different way of using tabs.